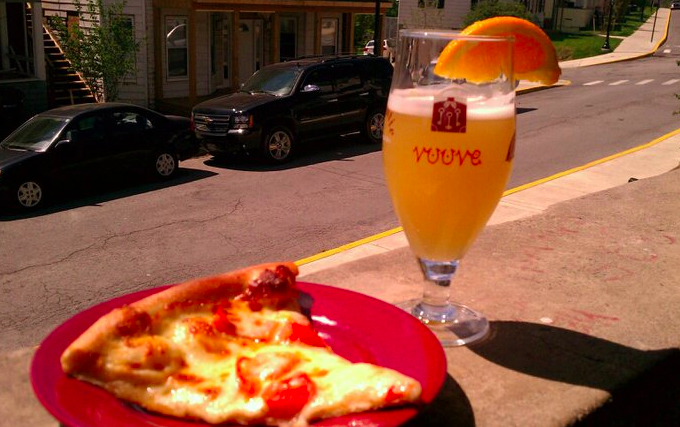 Mountaineats | A destination for Morgantown restaurant and bar news and reviews from the mind of the student. I still get the occasional comment on this blog, even if we haven’t touched it in 2 years. It goes right to my email, and it always brings a smile to my face. Seeing all the writers in that little video practically made me choke on college nostalgia. But we’re all doing great, journalisty things and I still wish all the Mountaineats writers the very best. But they can never top writing about pizza on the internet while attending West Virginia University. I think, at least. I know I use social media every day working for this newspaper. Thanks for reading, you crazy people who still read this. Hello and happy end of the year. This last part of the semester you have seen Mountaineats grow and prosper. We all hope that all of our readers have learned something new from our little site here. We were successful in having one post per week day and sticking with themes throughout that week. 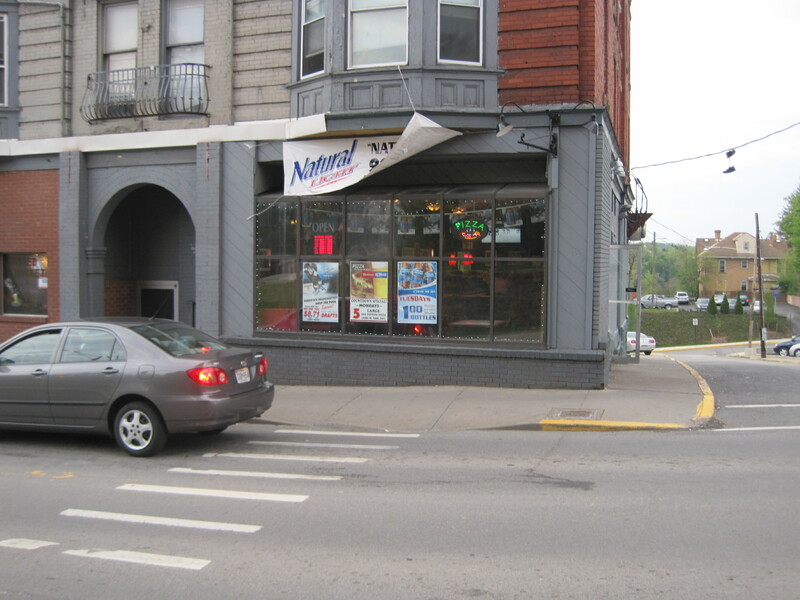 Perhaps some of us will be back over time to update everyone about the best food in Morgantown, but it will no longer be the same from this point forward. So, feel free to scroll back to some of your favorite posts and relive the magic that the members of Mountaineats brought to you. But before we all break out the tissues, I have the final installment to pizza week. Today we will be looking at Ledo Pizza. Ledo’s is located in the Suncrest Town Center off of Stewartstown Road, sandwiched between the newer Kroger and Carmonas. 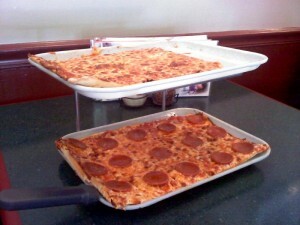 Ledo Pizza is a chain that generally is seen in college towns. This one in particular came in about a year and a half ago. It always depends whether or not it is busy in there. I have gone in for lunch on many occasions and it was never super busy in there, but dinner is another story. It is usually very busy after 6 pm and even though the dining area is pretty spacious, I can see how there could be a wait sometimes. The serving staff seems like it is ALL college students. For the most part I do not mind it, but honestly some of these servers have no personality look like they are just hungover a lot. Again, this is not all of the college servers, but I always feel like me and my friends always get the one who looks like she is holding her head when all of us talk to order. Also, I feel like it takes a really long time for the food to be served. I went with three friends last night and we were the second table to sit down. Every single table that came in after us (which I am going to say six tables) got served before we did. Some of the tables that got served before us had bigger parties than us (and four people really is not a lot!). They must have messed up our order or something because that was torture watching everybody else get served before we did. Ok, so that makes it sound like Ledo’s is not good, BUT IT IS! For the absolute deliciousness of the greasy, thin crust pizza with plenty of fun toppings, I will put up with the hungover and slow service because I feel like the pizza is worth the wait. Other notable things to try are the calzones and stromboli they have. I will always prefer my DP Dough calzones over anything, but these are good too. Another thing that has to be tried is the appetizers! Great cheese fries and the garlic bread with melted mozzarella is to die for. Something I do not mention getting at this place is pasta. The noodles and sauce did not taste fresh but rather like they had been frozen, not good. 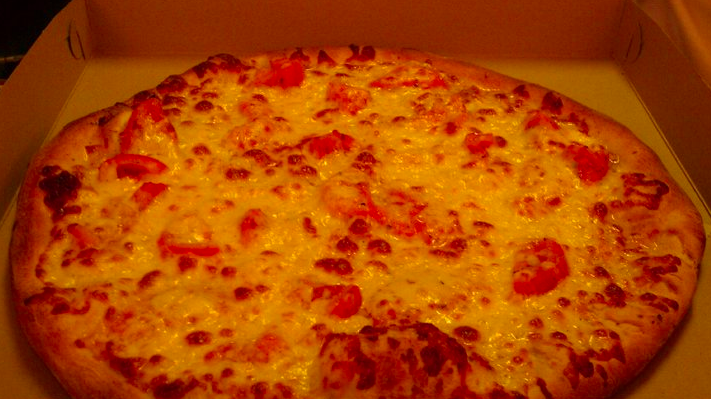 But seriously, Ledo Pizza is great. I love eating there and the reason that they have the square slices and not round is because they claim that the customer gets more pizza for their money. I am always a fan of this. Ledo’s is not a very expensive place to eat anyway, but when they are offering to give you more for your money, that is where I tend to give my money. Thank you everyone for reading Mountaineats, it has been a pleasure writing for you all. Hopefully, we will be back to give everyone updates with what we are doing so that you can all be sure to continue to follow us! As a kid, the Teenage Mutant Ninja Turtles made me believe pizza could energize me to lengths unknown to mankind, or at least other wide-eyed brats my age. Now college has trained me to recognize pizza as that one comfort food that no matter what hour of the day, how plain or how grand, how hot or cold, will always hit the spot. Sure there are times when your acid reflux may be raging out of control and the last bit of Tums was used to recover from your neighbor’s house party, but for the most part, pizza is always a “good call” as Ole Man Miller would say. And when you are looking to make a good call, dial up Pizza Al’s on University Avenue…this is the gem of the Morgantown pizza scene. Ok, so maybe that last statement was a little hard to take for Casa de Amici diehards or pizza penny-pinchers that dine on Little Caeser’s, but Pizza Al’s is where it’s at. 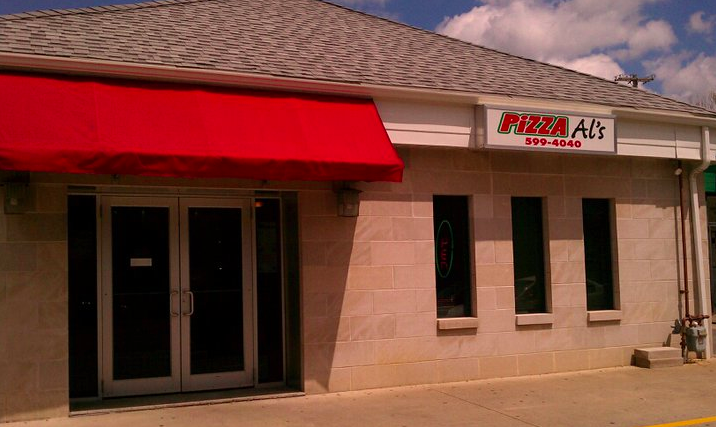 And where it’s at is a popular question when talking to Morgantown pizza sleepers that have never tried “Al’s.” Pizza Al’s is located by McDonald’s on Evansdale and the building it’s housed in definitely wasn’t inspired by some Tuscan villa. However, don’t read this book (or restaurant) by it’s cover, take a step inside the joint and you are immediately greeted with some of the cheapest pizza prices in town. A 20 inch large pizza runs at just under $10.00 (ask Casa for the same deal and you’ll end up paying close to $20) while the 14 inch small is only $5.50. I don’t know about you all but I’ll pay an extra 50 cents for a pizza that doesn’t have more sauce then ingredients on a sponge-like crust, a la Little Caesar’s. Cowabunga Dude! That's what Pizza Al's claims to be a "small" pizza…crazy Pizza Al's. But it’s not the cost of the pie that attracts long hair purple pizza eaters to Pizza Al’s, the experience of the cooks and the quality of the food is top notch. The owners of Pizza Al’s have been in the dough tossing business for over 43 years (nearly twice as long as I’ve been on this Earth) and if you’re a Morgantownie then you may recognize Pizza Al’s as the restaurant formerly known as Pizzeria Italia. No matter the name, these guys know how to make a pizza with a crispy crust, flavorful and fresh toppings, and a sense of pride when each pie is sliced up for a customer. One of the owners told me today that “if you don’t cook pizza good, it tastes like sh*t.” No doubt a reference to his next door pizza rivals Little Caesar’s. This White Pizza with Tomatoes is delicious, especially when washed down with a summertime brew like a Belgian White or Wheat Beer. My favorite pie from Pizza Al’s has to be their White Pizza. Made the old-world way with Ricotta and Mozzarella cheeses and dashes of basil and garlic. It’s a little on the dry side but the power of simplistic ingredients produces a truly unique and mouthwatering flavor. Of course the restaurant offers a wide variety of toppings and I can honestly say I have never had a bad experience with a Pizza Al’s pizza. I know this post sounds like an advertisement for the little pizza shop but I’m trying to be objective as possible. If I did have any qualms with Pizza Al’s, it’s their obvious reluctance to entice customers to eat in. With no free drink refills and nearly zero party seating, it’s pretty much a takeout only kind of deal. 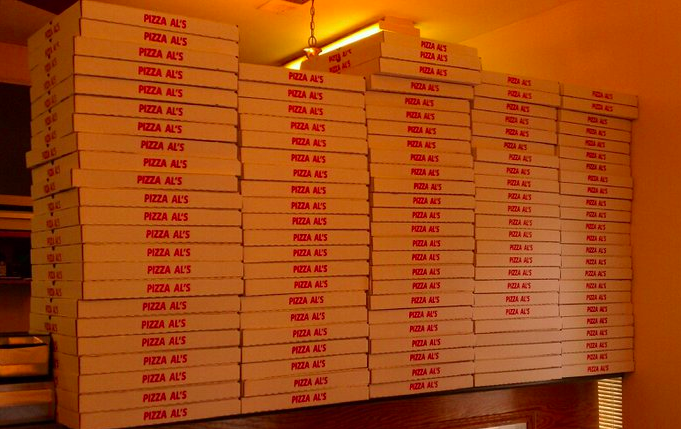 While impressive, "The Great Wall of Pizza Boxes" intimidates weary dine-in only types to take their pizza "to go." I think just about every college kid loves pizza. So instead of beating a dead horse all week I thought I’d mix the hump day post up and tell everyone about a cool, free website called, Wordle. Wordle helps create a word cloud from whatever text you select. It’s cool because if you have a really long data set than what it does it show you which words occur more frequently as shown by bigger text in the wordle. I decided that since this is my last post, and that all of them have been about food, I would do a Wordle of all of them to see what my word cloud would look like. 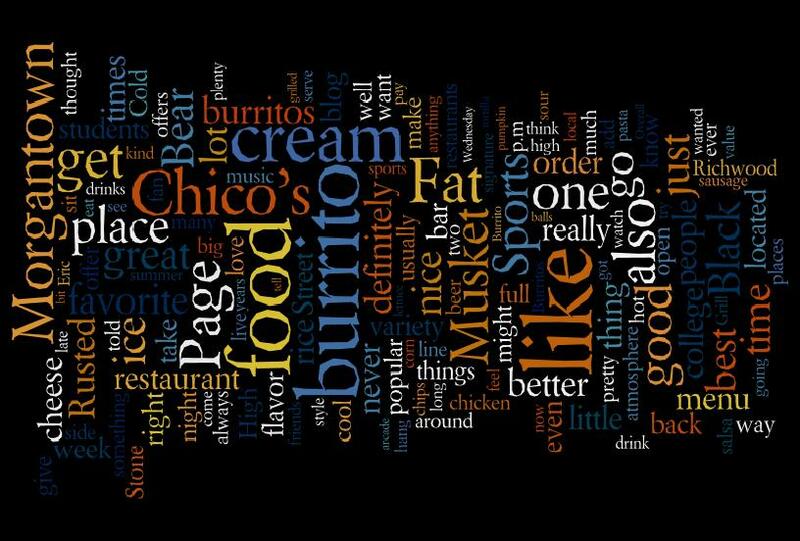 Not surprising to me, the biggest word was burrito because I did a pretty long blog post about the best burrito in Morgantown a while back, and then revisited it. Also not shocking was food as one of the bigger ones and Morgantown, which is good because that’s what our blog is centered on. Some ones that I thought would be bigger were restaurant and friends. But as you can see, this is a really cool and easy program to use to look at a set of information, definitely try it out sometime. 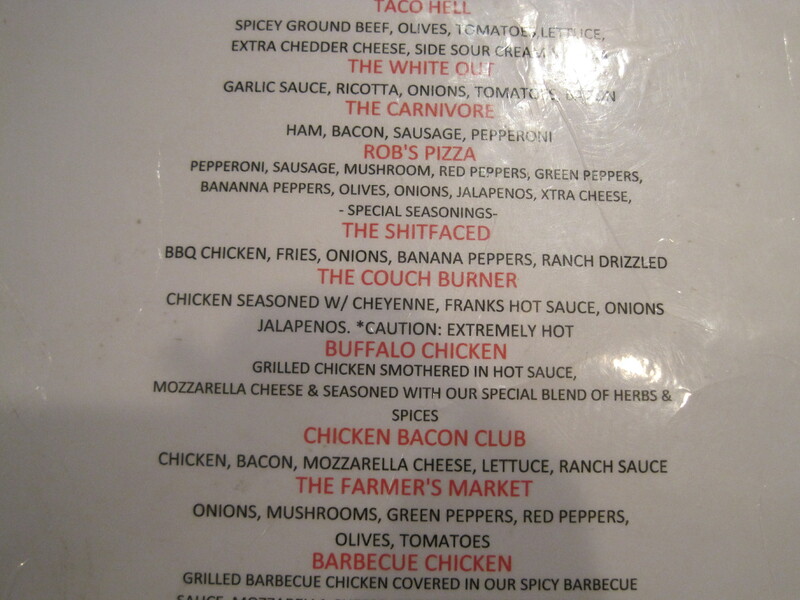 I do love pizza, but here we go with some mixed feelings. Urbanspoon may tell more positives of this establishment than I could. My experience with Shift Ace did not start incredibly smoothly. I promised my friends pizza if they would come eat with me and discuss the food with me. We had to search for twenty minutes to find the location, though it is literally at the crossroads of University and Stewart, right next to the Rusted Musket. One confusing detail is that they lie where the Corner Diner was last time I ate near that location. I still don’t know how I missed it; more on that in a sec. The name is of course based on a juvenile pun on a certain slang term for inebriation. I don’t have to spell it out for anyone. What would be great was if they opened before 1 pm. I usually think of grabbing lunch at noon before class, and though they cater to the drunken demographic, they should still function as a restaurant. And considering the lack of a sign, it’s hard to even tell it’s a real place. Seriously. Learn to stand out. The stationary neon sign was the only thing to suggest this was a pizza place and not a bar. Luckily, at night it becomes a more interesting place. There were loud people drinking pitchers of Yuengling and Budweiser (though one of my favorite beers, Shock Top, looks like pure urine in a pitcher). The casual nature of the workers and the people inside somehow lend a real chillaxing vibe to the utter chaos. Of course, few things bring out the thrill of college students like a good Stanley Cup Playoff with the Pens. They can make up for the late opening, since they are open until 3AM on weekdays. 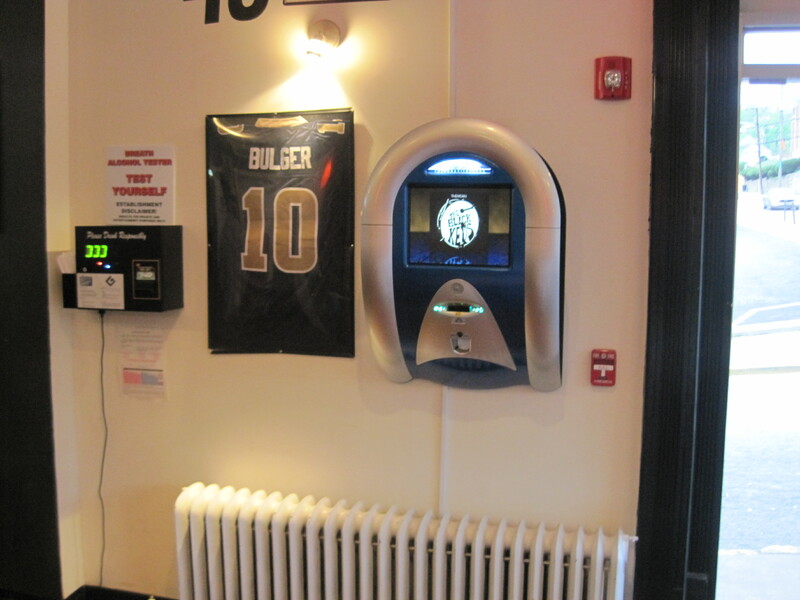 They offer draft specials during certain gamedays, which can only serve to make sports even more popular by adding unlimited affordable beer and other people. The pizzas were actually a good deal, the specials having up to eleven toppings on the more unique ones and being fairly large. Also, they look like Pac-Man. Mmmm, Journalism. Wakka Wakka. If I were to critique Shift Ace, it would be thus: Make your brand known. Put a sign outside with your name on it. Don’t let beer signs be the only advertisement for your pizza joint. Morgantown has bars in spades, but this this the only place with an Ace up it’s sleeve. By the by, I’d like to inquire about the logo contest I saw on the wall. Winner, if it still is even running, gets a 100$ tab. All in all, not a bad place to grab a beer. And now you know they have Pizza! And Calzones! And things other than beer! This week the group has decided to showcase various pizza parlors around town. A couple weeks ago I had mentioned Casa Di Amici as a “college eats” establishment. 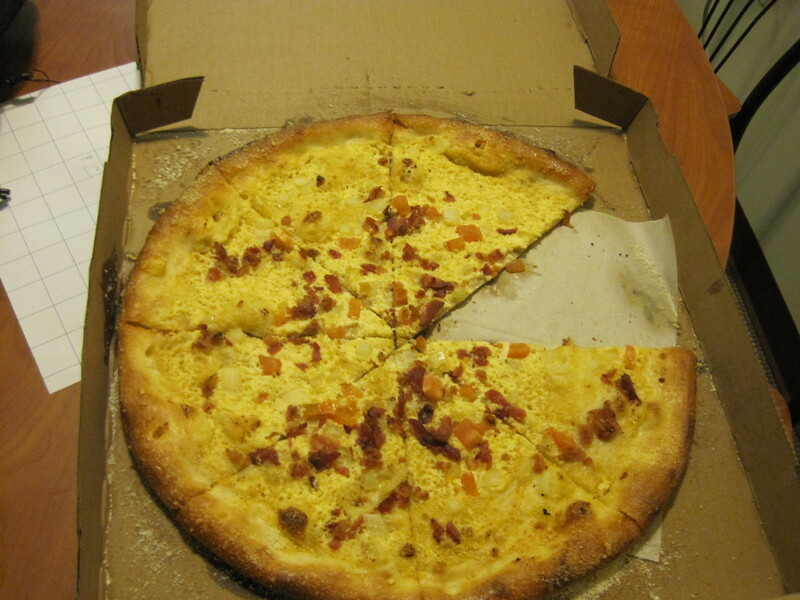 I talked about the new York style pies, their early morning hours , and convenient location. So for Casa revisited I thought I might highlight some things this pizza place doesn’t do so well. 2. If you eat at Casa, you leave smelling like Casa. : Yes, I said it, it smells bad. If greasy isn’t your cologne of choice, then be sure to avoid eating here before any big public appearances. 3. The restroom is always locked: Ok, not always, but if you are going to sell me a piece of pizza at or after midnight, then you’d better at least give me the chance to wash my hands before I chow down. I understand they don’t want randoms off the street stumbling in and making a mess, but other restaurants in the area deal with it, so should they. 1. New Seating Arrangements: They’re gotten rid of the old, long, wooden benches and replaced them with more up-to-date tables and booths! This allows for a much larger and more comfortable dining area. As far as pizza places in Morgantown go, Casa Di Amici is one of the best. Attitudes and aromas aside, it has a much deserved reputation for tasting terrific and will probably remain one of the best places to grab a slice for some time to come. Since it is treats week for Mountaineats, I decided to cover the ever popular gelato in town: Tutto Gelato. What is gelato you may ask? Gelato is the the Italian version of ice cream and there are a couple of differences. 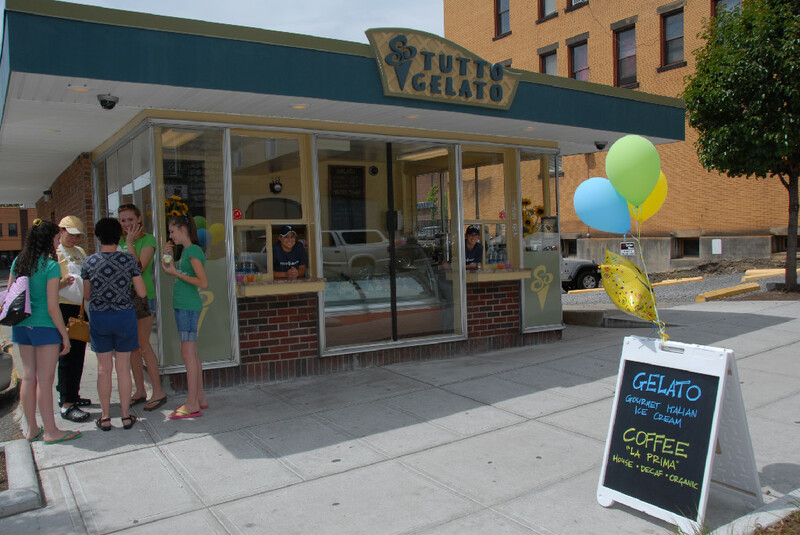 Tutto Gelato has been around for four years and is a small, outside window-served building located at 461 High Street in Morgantown, right down from SoZo and Casa. Two local Morgantown cousins started it up, so it is family owned. They pride themselves that all of their stuff is made right there on site. 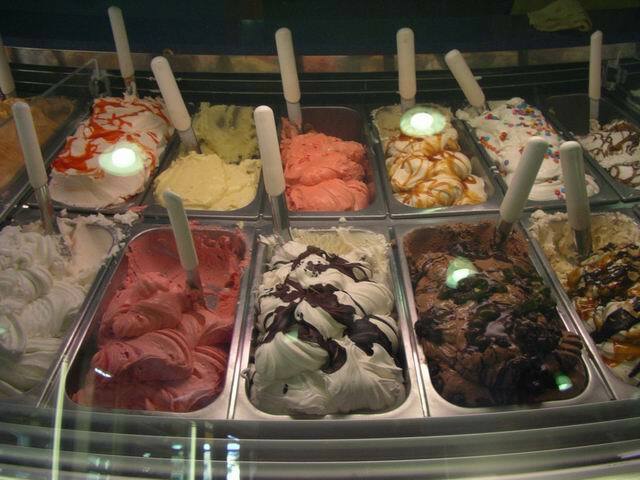 Everyday there are eighteen flavors out to serve but they make 40 different varieties of gelato. All of the flavors and sizes are labeled in Italian and the owner at the window was extremely patient translating all of the flavors for me. The gelato is served in a cup, a cone, a milkshake or an espresso milkshake. You can buy the gelato in pints or quarts as well. A pint of it is $7.00 and a quart is $12.00. The espresso milkshake is $4.75 and smoothies (frulatto) are $3.50. Another neat thing about Tutto’s is that they also offer soy and sugar-free flavors to please everyone. If gelato really is not your thing (but it’s awesome! ), Tutto’s offers another Italian dessert favorite: biscotti. This is like an Italian cookie and is shaped like a bread stick. It is the perfect match with coffee, which Tutto also offers. Hot tea, chai tea, hot chocolate, espresso, cappuccino, latte and steamers are all of the morning/daily pick-me-ups they offer. Another thing that the owner told me about was affogato. The affogato is espresso poured over your choice of gelato, topped with whipped cream. It is really good. Our drinks are all prepared to order using fresh ground coffee beans and being able to pick your own flavor makes it even more personalized. If all of this is not enough to get you to try this Morganown dessert gem, picture this. Pizza in a cone. Yes, you read correctly, COMING SOON pizza in a cone will be sold for $4.00 at Tutto Gelato. It is described as a light but filling dough cone filled with the finest pizza ingredients. The drip free cone is portable and convenient. It will have many flavors including cheese, pepperoni, margherita and more. Be sure to “like” them and friend them on facebook to be the first to know when to be first in line to try it. Treat Yourself: To an easy and exotic dinner! It’s that time of year again. The last few days of winter have passed and halfway into April you can see signs of summer ahead. I can tell because I had to put my air conditioner back in and have seen two disgusting stink bugs in my room already. On a side note, there is nothing I hate more than stink bugs, something about them just totally creeps me out. But as the weather becomes more hot and dry that means that people in Morgantown will be looking for a way to cool down; what better way then with a nice ice cream cone? Morgantown has a couple of ice cream spots that people like to go to. The Dairy Queen on High Street is always a popular place especially when they open their doors back up for the summer. You always see parents, students and children hanging out front enjoying a nice cone or blizzard. The only problem with this Dairy Queen is that as I said, it is only open during the prime ice cream season in the summer. What if I get the sudden craving for ice cream during the winter or fall? Ice cream is my favorite snack food so when I get the craving I head to my favorite place for a cone, I’m talking about Cold Stone Creamery. 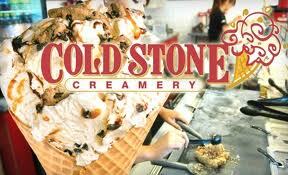 Cold Stone opened their first store in 1988 and have been growing wildly in popularity ever since. They took the idea of taking ice cream and letting you add your own toppings like Baskin Robins and blew it out of the water. The cool thing about Cold Stone is that you can literally create any kind of ice cream that you want and they make it all right on their signature cold granite slab right in front of you, mixing together anything you like. Cold Stones signature granite mixing slab. You can take any kind of ice cream flavor or flavors and add in things like, Butterfinger, Kit Kat’s, fruit mix-ins, brownies, yellow cake, nuts, marshmallows, gum balls….anything you can name basically and you can have it. They have so many add-ins that they claim their are over 11 million combination’s possible. If ice cream isn’t your thing, don’t worry, there are plenty of sweet treats for you to choose from. Cold Stone also offers a variety of cakes from birthday cakes to cupcakes. You can also custom order cakes, I got the oreo ice cream cake one time and it might have been the best cake I’ve ever had. They also offer sundaes, milkshakes, smoothies and even iced and blended coffee. They even offer ice cream cookies, mmmmm. 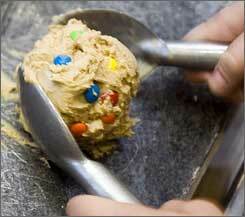 If you have never been to Cold Stone Creamery give it a shot. Located on High Street, it’s just a quick walk downtown from campus and on a hot summer day what tastes better than a big bowl of ice cream? So as mentioned earlier, we are dedicating this week to our favorite ways to treat our taste buds. While I’m not a huge chocolate addict, there are a few special chocolate delicacies that I love to reward myself with. The first can be found at Slight Indulgence on High Street, and contains fruit so that makes it at least a little bit healthy right? 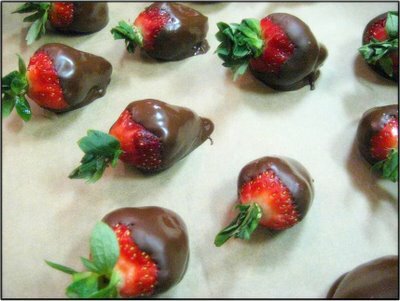 Chocolate Covered Strawberries…mmm. They’re available in orders of 6 at a time, and, after being hand dipped in Godiva chocolate, they put any candy that comes in a wrapper to shame. Once upon a time I tried to make a homemade version of my favorite dessert, it ended in disaster. I ended up with a huge mess of melted chocolate all over the place and couldn’t even compare to the real thing. So I would suggest saving yourself the trouble and just picking them up already made. No talk about chocolate would be complete without mentioning Sarris Candies. Sarris headquarters are located just 50miles from Morgantown in Canonsburg, PA. If you can imagine it, they more than likely make it. Their secret recipe chocolate comes in all flavors, shapes, and sizes. With chocolate and candy for any occasion, this local owned and grown chocolate factory has been named one of the fasted growing businesses by the Pittsburg Business Times. The story is a sweet one, it all began when founder and owner Frank Sarris bought his wife a box of chocolates and decided he could make his own, even better confections. The business started in the basement of their home until Frank decided to quit his job as a forklift operator and dedicate his life to being a chocolatier. The current warehouse was constructed in 1963 and has been growing ever since. They’ve become a landmark and favorite place for kids of all ages to stop in and grab a treat. 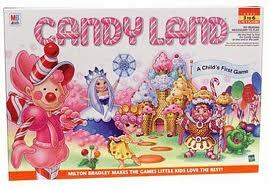 The best way I can describe it is like the board game Candyland brought to life. My absolute favorite Easter treats are the famous Sarris Eggs. They range in size from single servings to a literal half pound of chocolate. The peanut butter flavor is like a slice of heaven for me, but they have everything from butter cream to coconut and even orange. While their Canonsburg location is by far the biggest with the grandest varieties to choose from, Sarris Candies are sold everywhere from Giant Eagle and gas stations to Bed Bath and Beyond and Hallmark Stores in the area. Slight Indulge and Sarris candies are two local businesses sure to satisfy any sweet tooth and coming from someone who isn’t crazy about chocolate, they are definitely a treat worth trying.